Lemons, limes, oranges, naartjies, grapefruits and kumquats are all ripening in the garden. 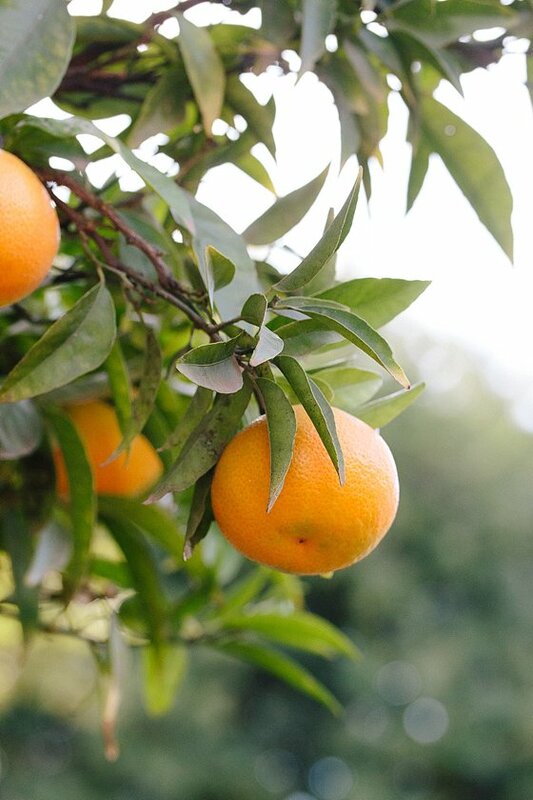 On the farm we are picking the soft skinned easy-peeler naartjies – Satsumas and Nules. In the cellar the winemakers are getting ready for our upcoming distilling workshop on 20 May. Juice of pressed naartjies are in the process of fermenting before it will be fired through the copper pot kettle to make mampoer. For a variation on the tussie mussies (or scented posies), Constance gathers lemon pelargoniums, lemon thyme, lemon grass, lemon verbena and citrus scented confetti bush (Coleonema album). 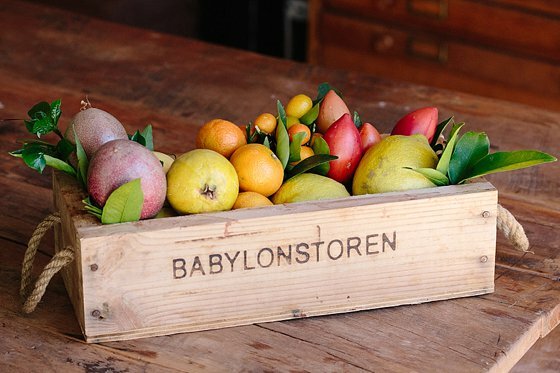 In the wooden fruit boxes for our hotel guests, the fresh Vitamin C rich citrus fruits are combined with sweet guavas, fragrant grenadillas and tangy tree tomatoes. 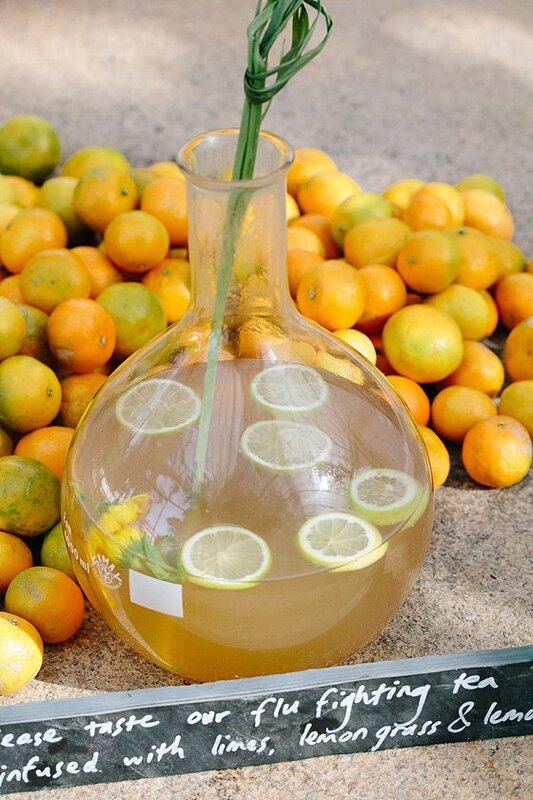 After the daily 10 o’clock garden tour, visitors can refresh at the Greenhouse with Gundula’s special flu fighting tea (see recipe below). Pour 2 litres of boiling water over the aromatics. 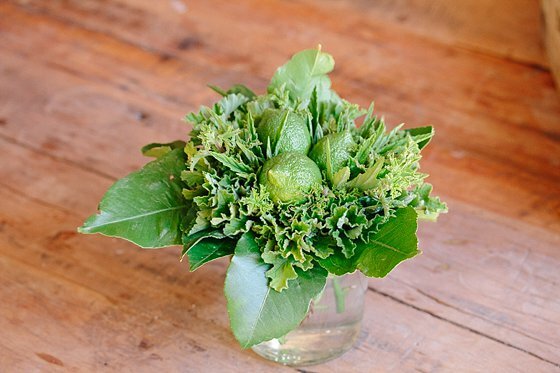 Strain, and add the lime/lemon, calendula and lemongrass to decorate. We are so proud of the wonderful work that you are doing at B toren not only for our heritage but also bringing us back to nature! Great legacy Koos And Karen! Thank you.